Help support our Spearfish High School athletes by giving a monetary donation–any amount is greatly appreciated. 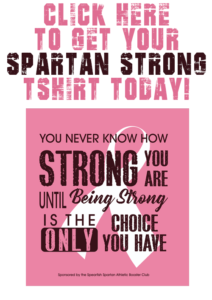 Please mail your contribution to SHS Spartan Athletic Booster Club, PO Box 853, Spearfish, SD 57783, or drop it off at the Spearfish High School Office. Please note Spartan Booster Club on the memo line.